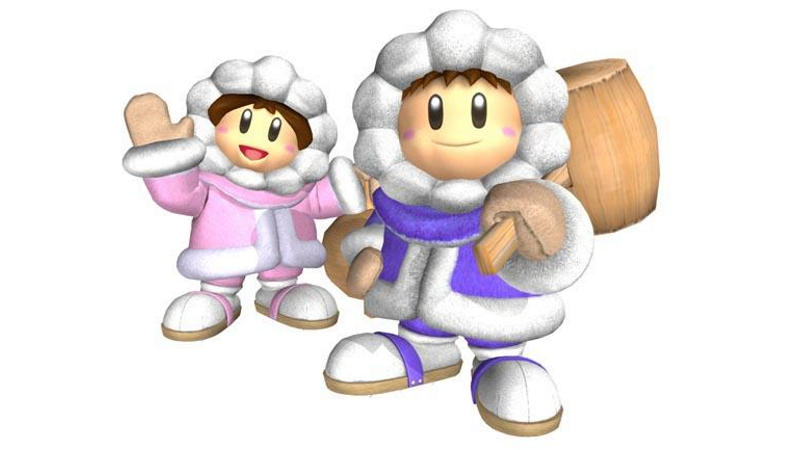 Last week, the Super Smash Bros. Melee community in Tennessee fired the first shot in the modern wobbling war when they announced that most of the competitions in their state would ban the controversial Ice Climbers technique. Since then, tournament organizers in four more states have decided to follow suit, setting a standard for their specific regions that conflicts with the scene’s widely accepted ruleset. The first of these states was Kentucky. Local tournament organizer Austin “Reeve” Reed revealed the decision with a single tweet, which he posted last week in the midst of Tennessee’s kerfuffle over the fake announcement about the wobbling ban. Reed posted that, for his part, wobbling would be banned in Kentucky “for the foreseeable future.” He also implored communities in other states to “take initiative” on the matter so that change would occur within the Super Smash Bros. Melee community on a wider scale. Montana heeded Reed’s call and came to a decision to ban wobbling on February 8. The official Facebook group for the Montana Melee community opened a poll asking local players for their opinion, and although it only received 16 responses, over half were in favor of a wobbling ban. After the poll results were in, two Montana tournament organizers, Kage “BrownDogsAreCool42” Hansen and Tyler Bourgeois, wrote in some comments on the poll itself and came to the decision to disqualify the technique from competition in a short, humorous conversation that Hansen told Kotaku doesn’t necessarily reflect their process. “I’ve been pretty anti-ban the last couple of years, but after talking with members of the community, I pretty much changed my mind,” Hansen explained via email, crediting Reed’s decision in Kentucky with helping get the ball rolling in Montana. Among other things, he said he was swayed after listening to another player compare a wobbling ban to the shot clock in basketball, which was implemented as a way to keep teams from stalling during a game. After taking the weekend off, two more states announced plans to disqualify wobbling on February 12. South Dakota’s organizers provided a public breakdown of their vote on Tuesday, showing that six of the eight participants were ready for a ban. While some of the reasoning was suspect (“wobbling big gay”) or flippant (“don’t get grabbed”), most of the write-in responses about the issue reflected the care and thought with which players made their decisions. “[Wobbling] creates an unfair advantage for a specific character, forces the game to be slowed down too far, and is in general against the spirit of competitive Melee,” one voter explained, while an anti-ban supporter called for a wait-and-see approach. The second state to propose the ban, Colorado, is the largest to break ranks with the greater Super Smash Bros. Melee scene thus far. A group of 18 community members were asked to weigh in on the decision, 14 of whom agreed that they were ready for a wobbling ban. According to participant Mitchell “destinybond” Eisenberg, only one tournament organizer was against the ban, which means that most of the state will be adopting the new rule. He further explained that while other states inspired Colorado organizers to begin their own vote, the idea of banning wobbling has been talked about in Colorado for so long that it became a meme within their official Facebook group. These sentiments were echoed by many of the community members that spoke to Kotaku. The wobbling conversation has been a powder keg for some time, and all it took was a few sparks from Tennessee and Kentucky’s rulings to ignite the decisions elsewhere. But in the broader picture, these few states are still very much outliers. The recommended ruleset established by Melee It On Me in 2017 is considered the de facto foundation for all Super Smash Bros. Melee competition, and making any amendments or changes to those guidelines is a complicated process. Also, one of the committee’s five leaders, Michael “Nintendude” Brancato, happens to be a prolific Ice Climbers player. There really isn’t any official authority figure within the grassroots Smash community to enforce these regulations. The recommended ruleset only has power because the five people on the committee’s leadership panel run the largest Super Smash Bros. Melee tournaments in the world. Similarly, the statewide bans currently being decided on can only work because a majority of organizers in the area have agreed to follow them. In theory, everyone is still free to run their own events as they see fit, but they risk being seen as an anomaly if the recommended ruleset remains rigid in its allowance of wobbling at the community’s most important competitions.